If anyone thinks they might be interested/able to attend the Western Hemisphere and Orient Championships in Brazil please let me know ASAP. I’ve heard from one crew so far who may be attending. Canada has 5 spots allocated, and these will be reallocated unless registrations come in before 20 April. Julian Inglis takes over as Canadian National Secretary. After eight years as Canadian National Secretary, Harri Palm has stepped down and handed of the reins to Julian Inglis of Guelph Snipe Fleet 877. 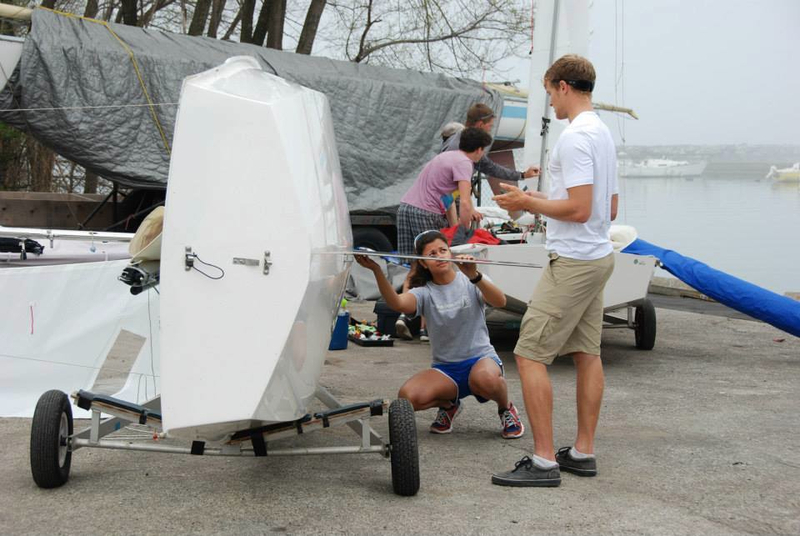 As well as being a very accomplished Snipe sailor who just happened to come second at the Canadian Pan Am trials, Julian and his wife Fiona run the sailing school at Guelph Lake. Canadian Snipe sailing will be in good hands. Rios Dominates at Snipe NAs in the Hammer. Raul Rios showed he is a definite gold medal favourite at the Pan Ams as he dominated the Snipe North Americans held at RHYC this weekend. Argentinian Luis Soubie showed his recent injury has not affected his speed as he came second with American Peter Commette third. Racing was tight in the five light air races held. Some of the mark roundings were epic with tens of boats arriving at the same time but sportsmanship prevailed as the jury had nothing to do but enjoy the perfect weather. These two sailors are proving to be a class act. 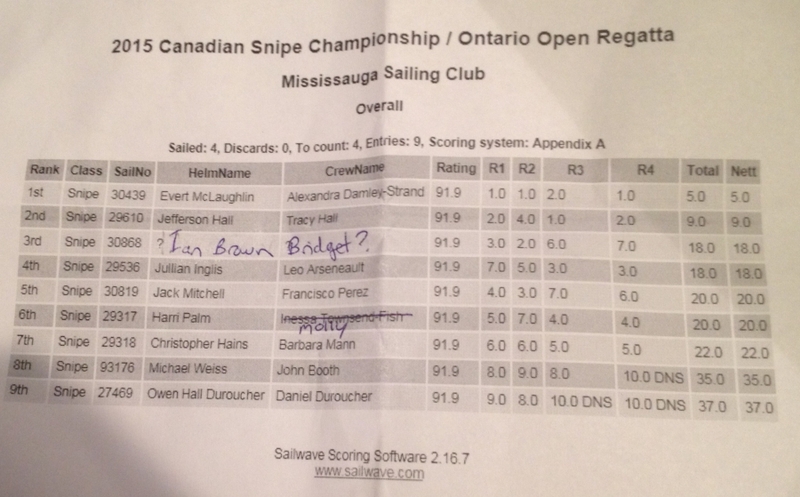 With nothing worse than than a second, Evert McLaughlin and Alex Damley-Strnad cruised to victory at the 2015 Snipe Canadian Championship held at Mississauga Sailing Club this past weekend. Saturday was spent hanging in the parking lot waiting for breeze that never came. Sunday proved to be rainy but raceable and the PRO Bruce Buckingham managed to get four races in to save the regatta. 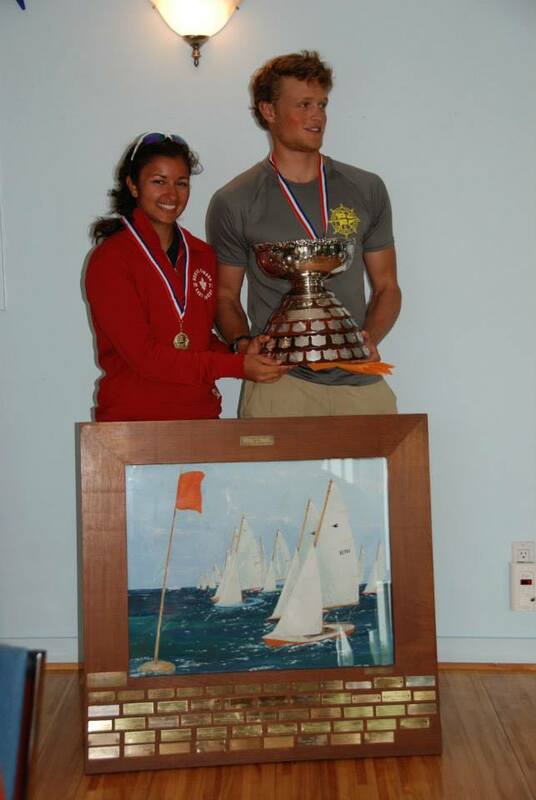 Second place went to JJ and Tracy Hall who were the only team to beat the winners in one race. The rest of the scores were very close with ties at third and fourth as well as at fifth and sixth. 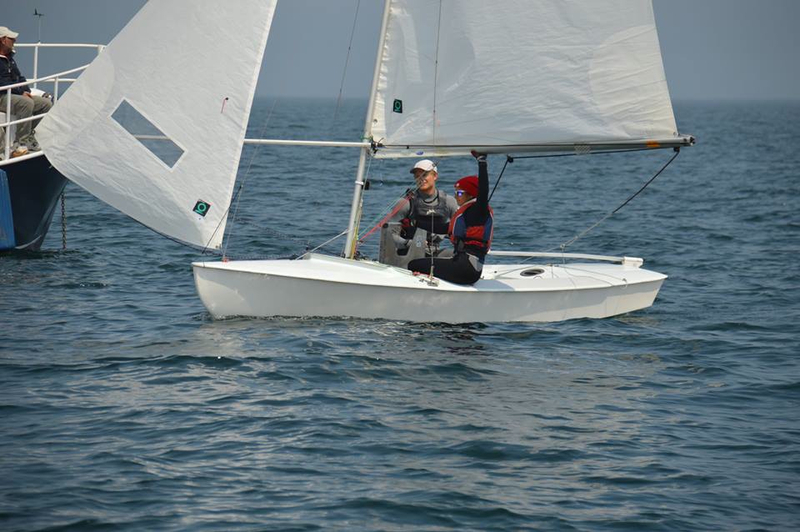 Sailing an almost perfect regatta, Evert McLaughlin and Alex Damley-Strnad showed that they are the class of the field at the recent Pan Am Games trials at TS&CC. These guys are easily our best bet for a Snipe medal and they deserve our congratulations and support.